Next month will see the launch of the Official Pokémon Magazine across the UK, it has today been announced. On sale from March 20th, Future and The Pokémon Company International have struck a deal that will see a magazine produced that’ll prove to be your one-stop shop for everything Pokémon. Fans will have access to the latest news regarding the Pokémon video games, TV series, film and Pokémon Trading Card Game, with activities, puzzles and competitions to also occupy your time. There’ll be 13 issues per year, each coming with a Pokémon-themed cover mounted gift. 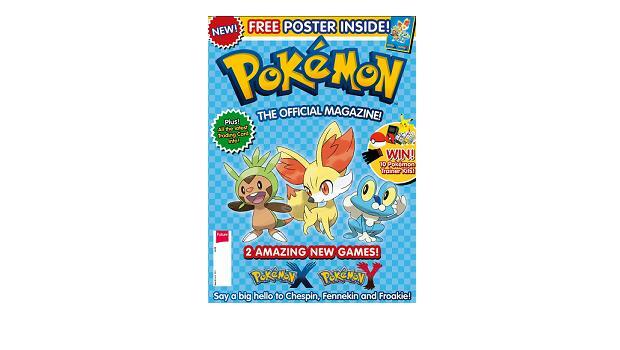 Official Pokémon Magazine will be on sale from March 20th, priced at £3.99.